One of the best features of the My Gorilla Garage system is the one-day installation on your garage floor. That means your cars, motorcycle, tools and other items only need to be out of your garage for one day! Most other floor systems take multiple days for preparation, application and drying. 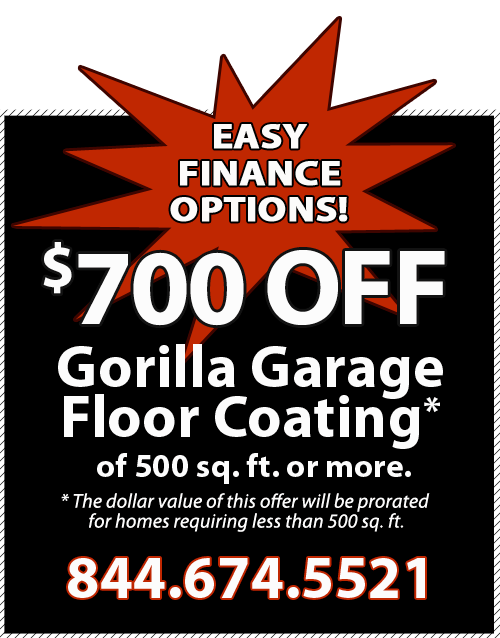 With My Gorilla Garage, you can begin using your garage and the new garage floor protection the very next day! 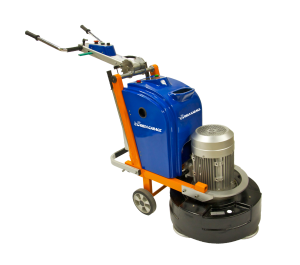 Our My Gorilla Garage floor specialist, will prepare the floor by diamond grinding the surface with our state-of-the-art, industry leading diamond grinder. This process opens up millions of tiny pores within the surface. The floor is then vacuumed with HEPA filtration to remove any remaining dust particles. Note, if our moisture inspection discovers the moisture level is too high for our standard process our representative will review the moisture abatement process to ensure a successful floor coating. A two-part priming coat is blended with a colored tint base and rolled into the tiny pores of the floor created by the diamond grinding. This provides superior adhesion that resists delamination and ensures long life, and high performance and protection. A My Gorilla Garage technician will then put on special shoes that will allow them to walk on the wet floor. they will broadcast decorative chips into the base coat to achieve the desired look and that will also create a slip-resistant surface. The color selection is your choice, and we can mix and match colors to create virtually any pattern you can imagine! After only 45 minutes, the floor will be dry enough to be scraped. the scraped chips will be gathered and thrown away and then a two-part polyurea top coat will be blended and poured directly onto the floor. A special squeegee is used to pull the material to the desired thickness, this creates an everlasting shine that’s water proof, resists oil and grease, and is very easy to clean. “Looks great!” — a customer-submitted photo. Thanks Kevin, we think it looks great, too! 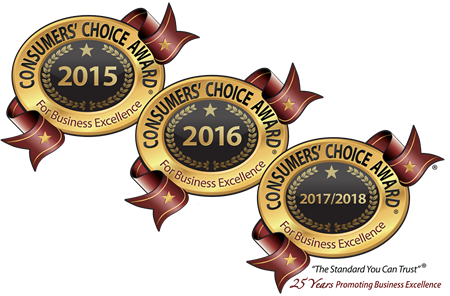 Enjoy your beautiful, slip-resistant, stain and corrosion resistant, protected, high-quality floor! 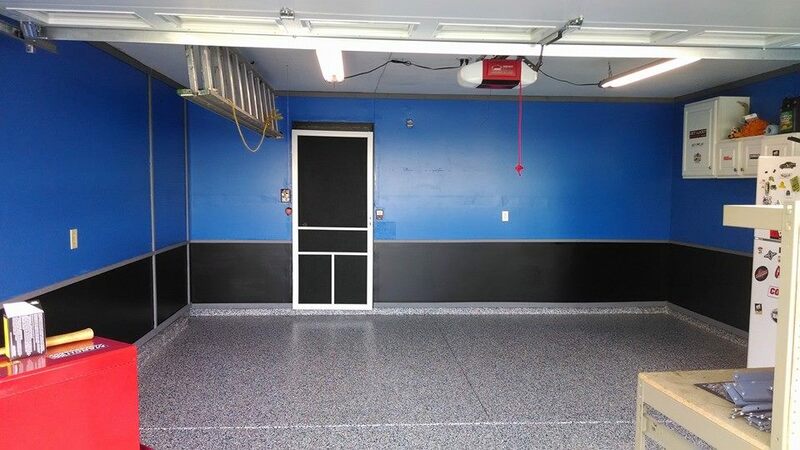 Warning, be prepared to spend lots of time showing off your new garage floor to neighbors, family members and anyone else who sees it!